This is a perfect-bound textbook with case studies and real-life business applications of country and political risk theory. Edited by Dr. Llewellyn Howell, noted international expert in the field of country risk analysis. 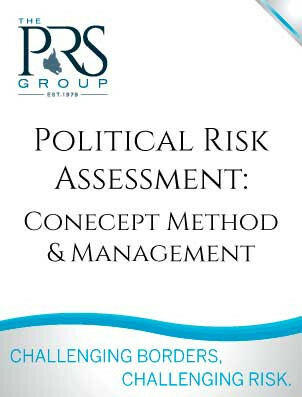 This book is the perfect companion to the Handbook of Country and Political Risk Analysis. To order multiple copies for classroom use, please contact PRS at info@prsgroup.com or at +1-315-431-0511 to arrange for pertinent discounts (and a free desk copy for the professor). Shipping/handling fees apply according to delivery destination. Appropriate tax also applies.